The French authorities have submitted an intention to propose a harmonised classification for titanium dioxide as a category IB carcinogen. The intention says the proposal was submitted recently, but details have yet to be published. and substances with such a classification should be restricted in consumer applications – of which titanium dioxide has many, including some using the substance in its nanoform. The dossier proposing the classification was sent to Echa by the French Agency for Food, Environmental and Occupational Health and Safety (Anses). In response to the proposal, the Titanium Dioxide Manufacturers Association (TDMA) said the industry assessed the substance’s classification as part of the REACH registration dossier submission back in 2010. This, it said, « involved an extensive review of all available scientific data and, since then, [the dossier] has been updated with new findings and subsequent studies. “Based on assessment of the high quality studies, industry and consultant experts have concluded that titanium dioxide should not be classified in any of its forms for any end points. This is supported by the findings of epidemiology studies of 20,000 workers in 15 titanium dioxide manufacturing plants over several decades, which showed no adverse health effects from occupational exposure. di-(2-ethylhexyl) phthalate (DEHP) may harm the health of children, causing possible damage to the reproductive system. 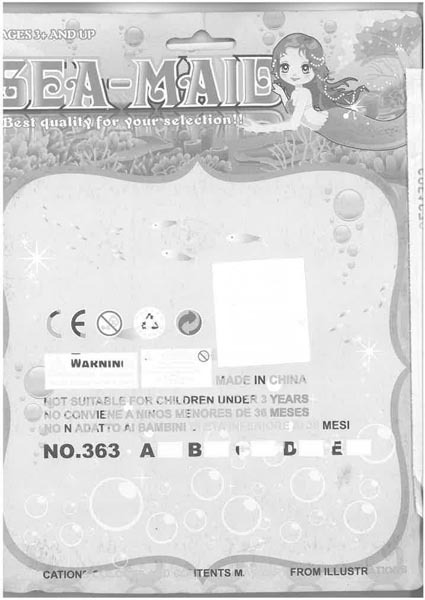 According to the REACH Regulation the phthalates DEHP, DBP and BBP are prohibited in all toys and childcare articles. 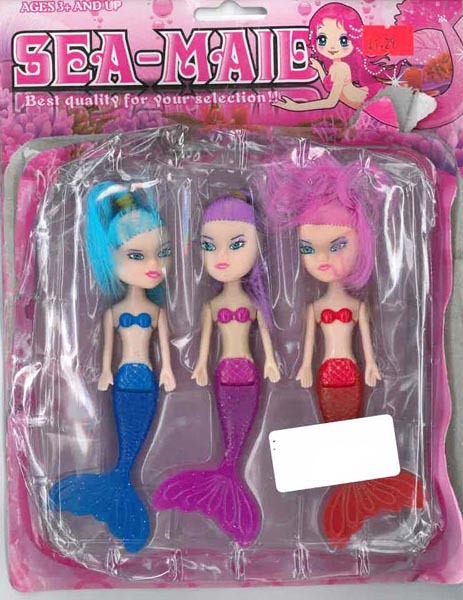 Three Sea Maid type plastic dolls packaged in a plastic moulded front attached to rear cardboard. Chemical risk : The dolls’ heads contain DEHP (measured value 35.7 % by weight). 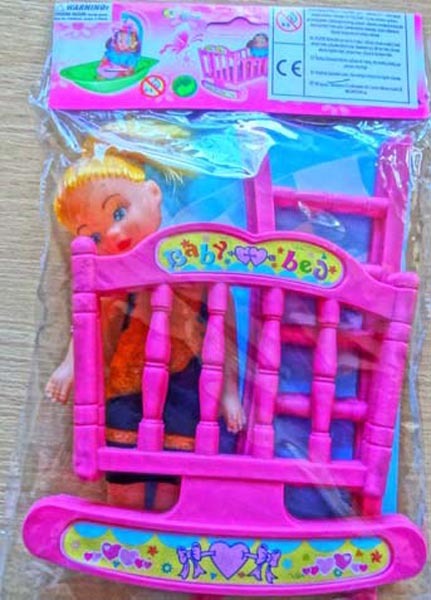 Toy doll with a pink cot supplied in a transparent plastic packaging with cardboard label. 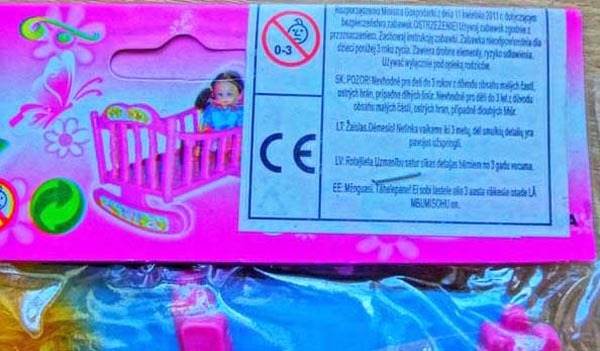 Chemical risk : The toy contains DEHP (measured value 21.7 % by weight). « Forum set for trial; member states have some concern. The European Commission has made progress on the enforcement indicators it is developing. Speaking at Chemical Watch’s Enforcement Summit in Brussels, Miguel Aguado-Monsonet, policy officer at DG Grow, said that it appeared the process to calculate enforcement indicators at EU-level works. 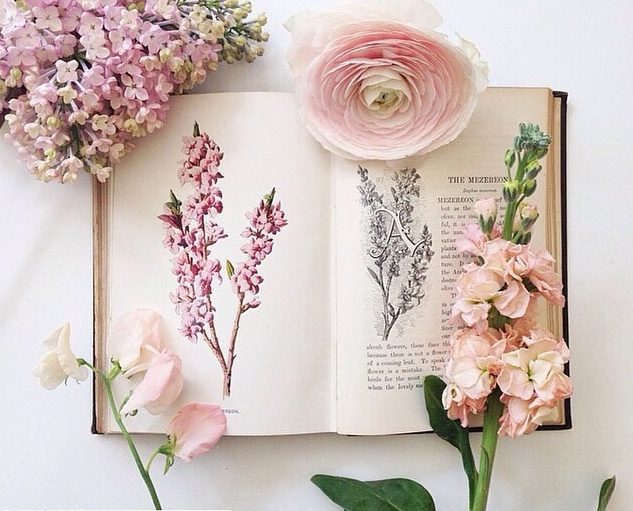 However he said further work is needed regarding both the data collected and calculations used. Around 2,000 pieces of data have been collected to generate 12 EU-wide indicators from the 31 countries enforcing REACH and CLP. Some of that information has come from the REACH Article 117 reports that EU member states make every five years – the latest cycle required reports to be submitted in June this year. According to the results, the average degree of compliance for REACH and CLP is 80 % across the EU, based on all types of inspection. As a caveat, Mr Aguado-Monsonet said that this figure did not mean that the market is 80 % compliant, as enforcers often used intelligence to focus their activities on likely cases of non-compliance, which would push the percentage up. the number of complaints made against enforcement. The Commission plans to combine the figures to come up with an overall indicator of enforcement. 2010 will be used as a base line. It has been working with Echa’s Enforcement Forum to develop three sets of indicators. In addition to the EU-wide set, 16 have been proposed for both the Forum and for member states to use at national level. The Forum is scheduled to discuss the indicators at its meeting in November, says its deputy chair Eugen Anwander. He expects the members to come with data to feed into the indicators to get a feel for how they would work. He noted that some member states are cautious about the national-level indicators, adding that context will be needed to explain why figures differ between countries. For example, he said some countries do a lot of research to seek out cases of likely non-compliance before approaching companies, while others preferred to make spot checks. The data for these different approaches would probably show much higher success rates in the first case compared to the latter. Mats Forkman, head of unit enforcement and registries at the Swedish Chemicals Agency (Kemi), said measuring the number of inspections carried out by a national enforcement authority would not necessarily show the true picture and effectiveness of the work carried out. For example, he asked, how the indicators would distinguish between inspections of “a distributor selling truckloads of chemicals … and a small newsagent. He said people should be aware of “exactly what the numbers mean” and not to view them as a league table. Mr Aguado-Monsonet said that by collecting and using similar data to evaluate enforcement, the indicators aim to provide a better knowledge of REACH and CLP enforcement, and contribute to a more harmonised approach across the EU. He said the preliminary results showed that work still needs to be done to ensure the results are robust, and further discussions are needed with the Forum, member states and within the Commission regarding the interpretation of the results. « Compendium of analytical methods, guidance on results interpretation to be published. Echa’s Enforcement Forum is preparing several guidance documents and tools, to help national enforcement authorities and companies assess whether articles comply with REACH substance restrictions. The area has been fraught with difficulties, for many years, because of the lack of officially recognised test methods for checking if a material meets the concentration limits and migration levels set in REACH restrictions, and other regulatory instruments. This means different laboratories use different analytical methods, while varying sampling methods can also contribute to a wide disparity in test results. However, the first edition of a compendium of analytical methods is due to be published on Echa’s website by the end of the year, according to Enforcement Forum member, Maria Letizia Polci. Speaking today at Chemical Watch’s Enforcement Summit, Ms Polci, who works on REACH enforcement for Italy’s health ministry, said the compendium will include 138 recommended methods for 41 restriction entries, and that the forum will invite interested parties to submit additional information for future editions. Another challenge for enforcement authorities, she said, includes the broad scope of restrictions, which may cover a large number of mixtures and articles. The forum is also developing guidance on the interpretation of analysis results and hopes to publish information in 2017. This will be on the lessons learned from next year’s Ref-4 coordinated enforcement project on restrictions. Meanwhile, the European Standards Organisation (CEN) will develop analytical methods for determining the lead and polycyclic aromatic hydrocarbons (PAHs) content, and migration levels, in consumer articles and for chromium compounds in leather goods. Future annual CEN work programmes will include other analytical methods, said Ms Polci.